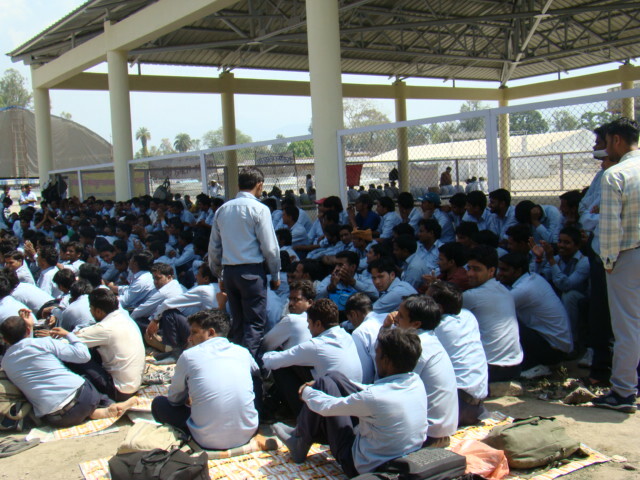 The 2011 Maruti Suzuki workers strike at Manesar (Gurgaon) has already become a metaphor for the new wave of industrial unrest in India, especially against the neoliberal industrial regime that makes the criminal violation of all kinds of regulation and labour laws by the corporate sector an imperative for growth and development. 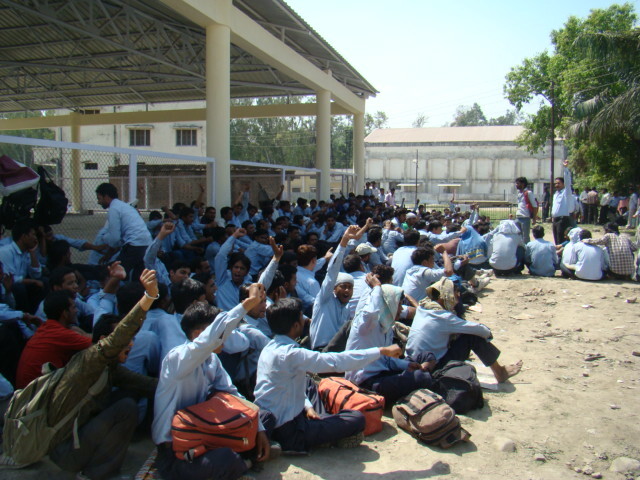 Manesar has come to signify the will of the workers to counter capital by spontaneous and solidaristic uprisings. So, as workers from the two strike-hit companies staged a protest here on Tuesday, outside the offices of the district administration, they were supported by workers from companies such as VIP, Eveready ITC and Bharat Heavy Electricals Ltd (BHEL). A similar march was taken out last Wednesday, too. Major trade unions such as the All India Trade Union Congress and Hind Mazdoor Sabha have supported the protesting workers. So are 13 workers’ unions at the public sector engineering major, BHEL. Workers at Eveready and VIP have presented their respective companies with charters of demands, including wage hike. Since yesterday (April 4), workers of Rockman Industries and Satyam Auto have been occupying the Parade Ground, Dehradun (the capital city of Uttarakhand), and were on a day long fast today to press for their demands.